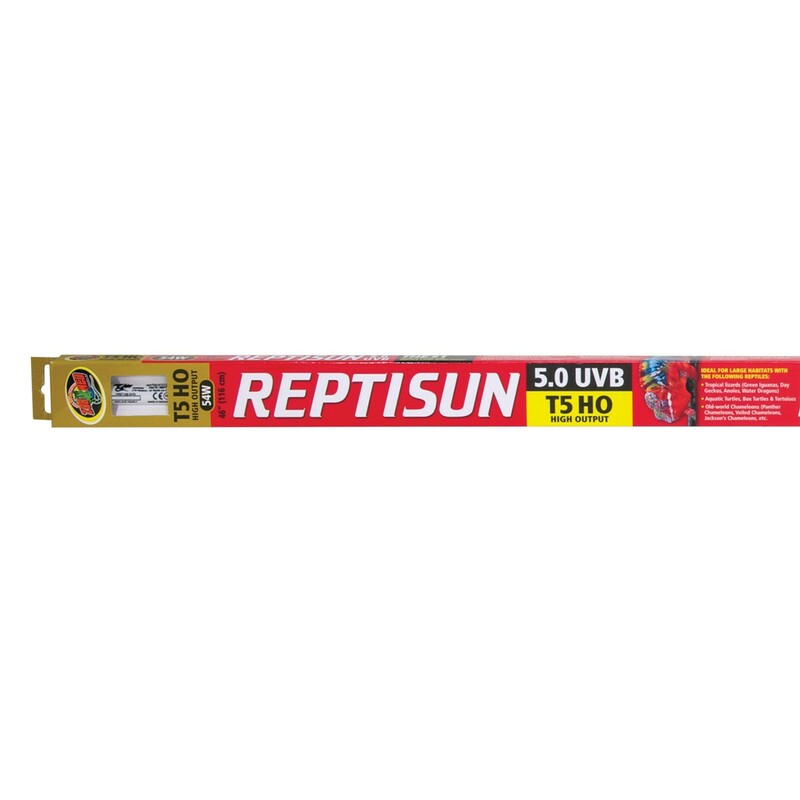 ReptiSun 5.0 T5 High Output UVB Fluorescent Lamp 54W 116cm | Livefood UK Ltd.
Used and recommended by Zoos, Veterinarians, and top reptile professionals, Zoo Med's ReptiSun 5.0 T5-HO UVB Fluorescent Lamps are perfect for larger reptile habitats. They deliver stronger UVB output and brighter light (twice as strong as standard ReptiSun 5.0 lamps), and help to prevent and reverse Metabolic Bone Disease commonly seen in captive reptiles. These high quality lamps are made in Germany.